While visiting Boston in the early 1880s, Raleigh News and Observer publisher Samuel A'Court Ashe marveled at that city's past. Everywhere he looked he saw its story. After returning home, Ashe began an editorial campaign to encourage the saving of North Carolina's history so that others, natives and visitors, could learn of the lives our ancestors lived. Two events evolved out of this campaign. 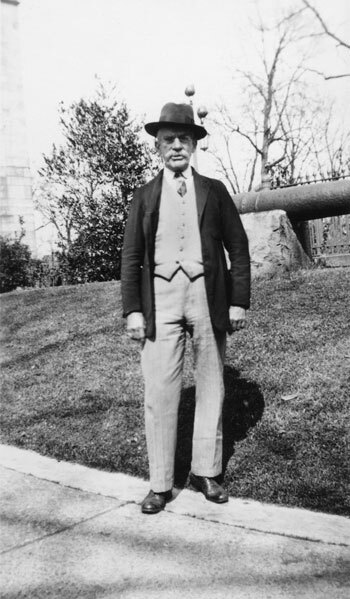 First, one of Ashe's colleagues, city editor Frederick Augustus Olds, the "father" of the North Carolina Museum of History, began collecting objects from North Carolina's past. He traveled all across North Carolina picking up pieces of the state' s history and listening to the stories associated with each item. Second, a gallery of history was set up in 1898 in the State Museum (now called the North Carolina Museum of Natural Sciences) in the old Agriculture Building. Olds had soon developed a sizable private collection and suggested that his collection and the historical material in the State Museum be combined to establish a state historical museum. On December 5, 1902, Olds's private collection and the State Museum's collection were merged and opened to the public as the Hall of History. Olds wrote, "There are thirty-seven [cases] which to be sure are very completely filled while much of the space on the walls is occupied by pictures." The cases were mothproof, dustproof, and had double safety locks. In 1914 the North Carolina Historical Commission took over the Hall of History and assigned it a twofold purpose: to teach the history of North Carolina and to preserve historical material. The hall moved into its second home in the State Administration Building, now known as the Ruffin Building, at the intersection of Morgan and Fayetteville streets. These new quarters occupied two large halls on the second floor. But it became obvious very quickly that even this new space would not be adequate for the items of North Carolina's past. In 1939 the Hall of History moved to the newly constructed Education Building on the corner of Edenton and Salisbury streets. For the very first time, a space had been designed for the museum. Offices and galleries occupied one wing on the first floor, and some basement storage was available. With the new space came goals for more attractive exhibits, improved lighting, and a better arrangement of artifacts as well as a new emphasis on the care and organization of artifacts. The staff used more progressive exhibition techniques, better cataloging procedures, and more specialized collecting areas. They also placed more emphasis on educational programs. Over the next two decades, with the growth of its collection, the expansion of its exhibit area, and the increase of its staff from one staff person to twelve by 1960, the Hall of History no longer fit the image of a "hall." So, on July 1, 1965, it became the North Carolina Museum of History. By the middle of August 1968, its move to the new $3 million Archives and History/State Library Building at 109 East Jones Street was under way. More than 91,000 items were moved during the next eighteen months. The mezzanine exhibits opened in late 1973, completing the galleries in that building. John D. Ellington became administrator in 1974. His vision for the museum was "to reestablish public awareness of the North Carolina Museum of History as a primary research resource and as an educational institution." 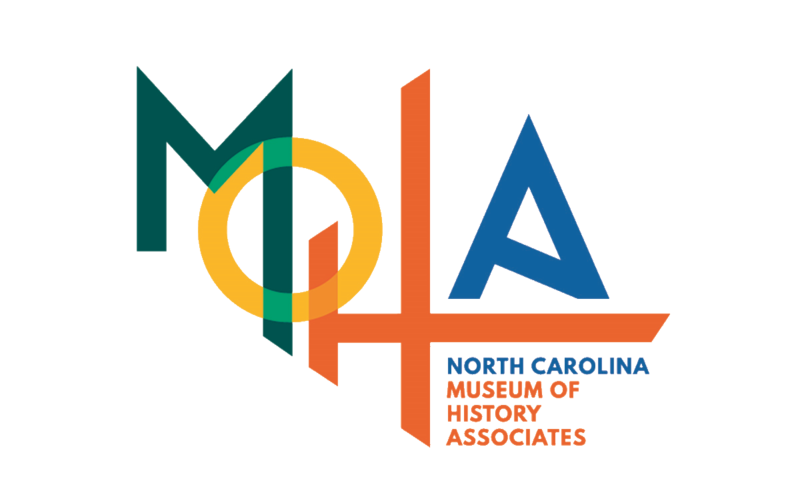 The North Carolina Museum of History Associates, Inc. (Associates) a support group for the museum, was founded in 1975. The Associates became instrumental in finding more space for the museum. In 1985 the museum staff suddenly was faced with the exciting challenge of planning a brand new structure. The new building would be part of a "cultural center" within the state government complex sandwiched between the historic state Capitol, our past, and the Legislative Building, our future. Enthusiastic supporters attended a gala groundbreaking event on June 16, 1988, when digging of the famous "hole" began. 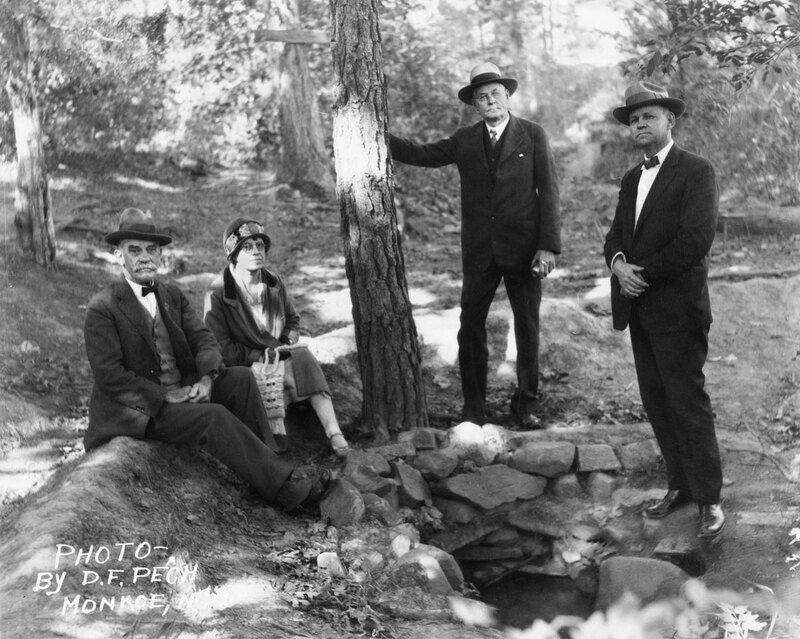 Talk about the hole, the largest ever dug in Raleigh, dominated conversation all summer. Trucks hauled countless loads of red dirt up a very steep incline and carried them away. The large hole eventually became three underground parking levels. More than $29 million later, the staff began moving into its own building at Five East Edenton Street in August 1992. The new museum has a research library, a variety of classroom spaces, and a large and well-equipped, 315-seat auditorium. Large gallery spaces total 55,000 square feet, nearly four times the exhibit area available in the old building. Design shops, storage areas for over 250,000 items, and conservation labs are now all under one roof. The past of the North Carolina Museum of History and the past of all North Carolinians are linked together. Through change, challenge, and advancement, we all work toward improvement. We are a people museum—built by people, operated by people, filled with objects that represent and tell the stories of people. We are alive with the past.